kristy.makes: recipe: candy covered marshmallow pops. recipe: candy covered marshmallow pops. mason loves to help me. help me cook. help me 'make stuff'. help me with rance. he likes to help. and i love that. but sometimes, it's not always something he can help with. the point is, when it's something for him, i like to find something that he can really get in there & help with. so when we started thinking up ideas (aside from giving the girls pictures of rance because he says they think he's cute..) i wanted to make sure it was something he could do. 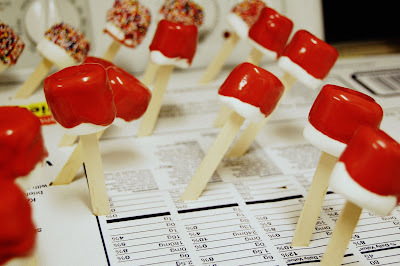 i remembered seeing a dessert table with these candy coated marshmallows on it & from there i came up with these marshmallow pops. 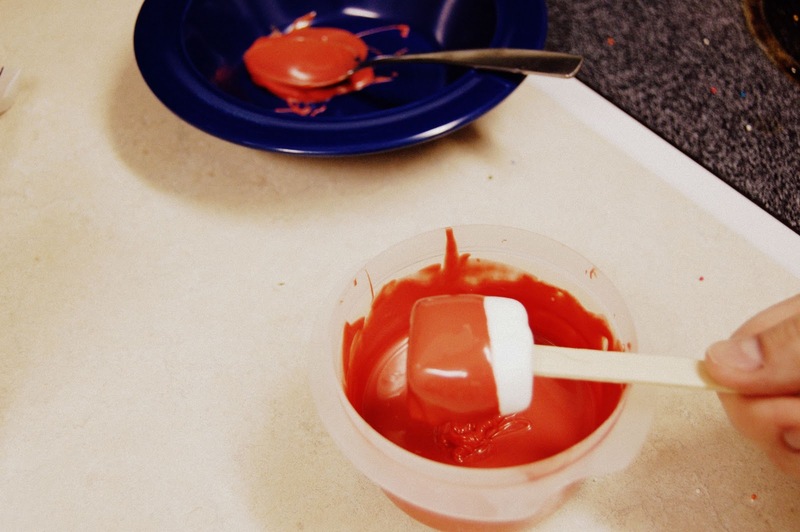 3. put your candy coating in a microwave safe bowl & heat accord to package directions. make sure you stir it to a smooth consistency. the looser it is the better it will coat, & the easier it is to shake off the excess. 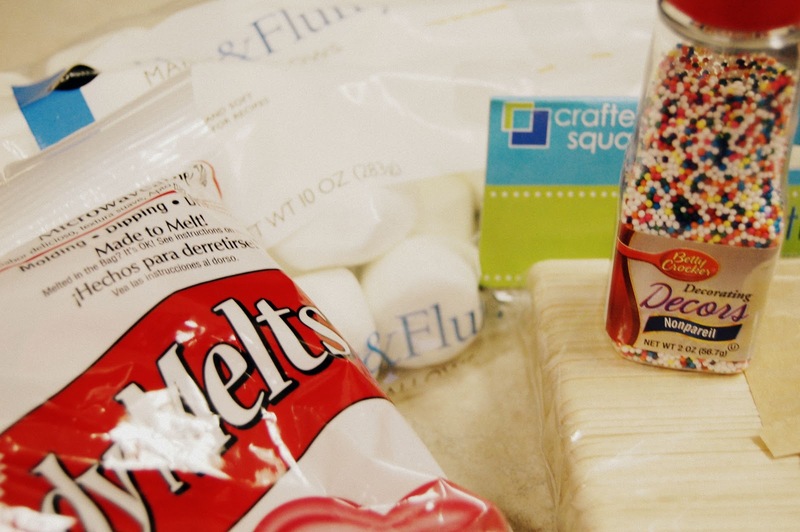 6. empty your sprinkles into a small, deep bowl. 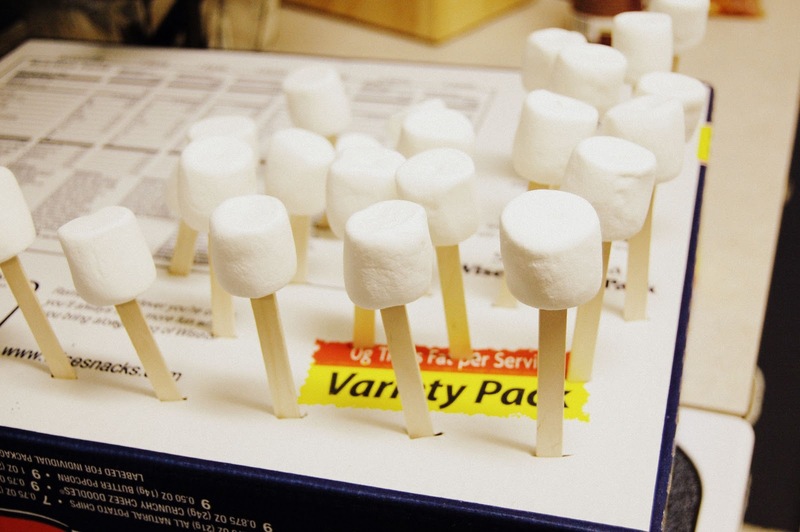 dip your marshmallow pop into the sprinkles to coat. put it back into it's hole to dry further. 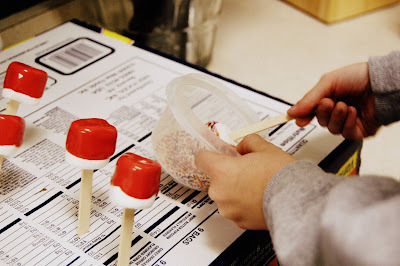 7. let pops continue to harden another hour or so, or you can put them in the fridge to harden them faster. package as desired.